I am Leah Brennan, founder and owner of Asheville OWLS Training. Everyone has a reason for doing what they do and mine is quite personal - OWLS embodies my life’s passion: to help people move for health and wellness. A bona fide tomboy, I was raised in a rural coal mining town Southwest of Pittsburgh, PA. My active childhood led to focused athleticism throughout my life. I discovered my passion for teaching people in a physical capacity while working as a PSIA certified ski instructor, first at Seven Springs Ski Resort in Pennsylvania and then at Breckenridge Ski Resort in Colorado. Motherhood led me into the gym. In search of efficient workouts to reclaim my pre-baby body, I turned to strength training. Amazed by the effects, I said goodbye to my long endurance workouts. My routine was oversaturated in repetitive movement and lacked muscle-building efforts. Committed training in the gym and group classes yielded strength I never imagined I could have. I continued to learn, practice, and execute in the gym, eventually granting me opportunity to teach others through Group Fitness Instruction. This platform exposed me to a variety of fitness modalities and an even wider variety of people. 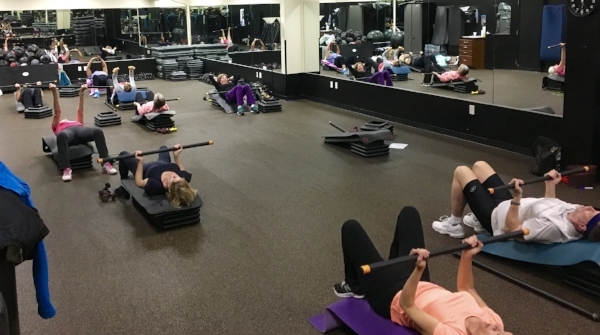 I currently enjoy teaching Muscle Pump, Silver Strength, Core Fusion, and Stretch & Roll each week at the Asheville Racquet Club. I have experience teaching Spin, Water Aerobics, and HIIT classes. I have also conducted a Corporate Wellness program for Asheville Eye Associates. These experiences influenced me to offer more specialized services. Backed by my knowledge and dedication to fitness, I can now say that I am older, wiser, and a lot stronger. Over the years working at the Asheville Racquet Club, I have drawn limitless inspiration from the other trainers, instructors, and members. This community has empowered me to push limits with my own fitness. 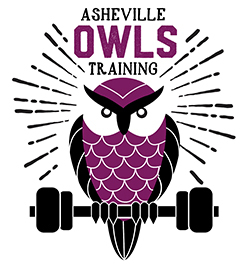 My goal in founding Asheville OWLS Training is to establish a fitness community for those who are seeking support - for those who are (or aspire to be) older, wiser, and a lot stronger!